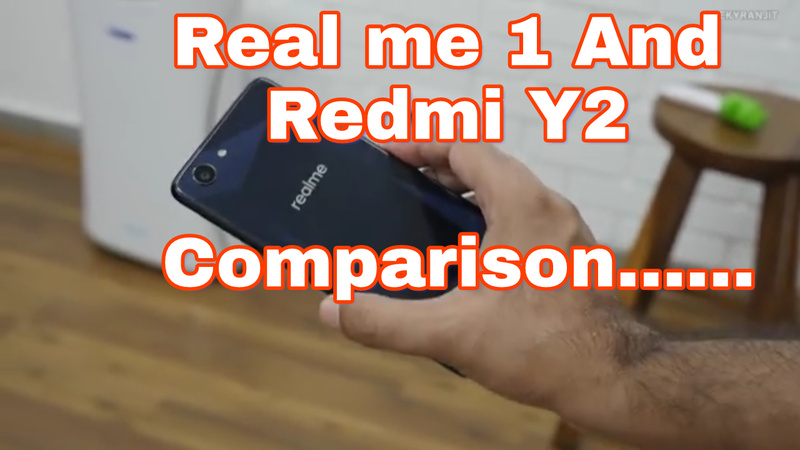 Y2" and here we will get the details about RealMe 1 Vs Redmi Y2 Full Comparison In English and see that the money will be right. The Redmi Y2 smartphone hasjust arrived in the market soon, but Realme 1 Phone is the first market you have missed and many customers have purchased the phone. If you do not know about it then you can get information about it from here "
But before we get the information about RealMe 1 Vs Redmi Y2 Full Comparison in Hindi , we know. The Redmi Y2 specification, how much price is in India so that we are easy to compare. Redmi Y2 is a mid-range smartphone that has been placed under the Under 10000 Phone category and Mi has made it available for those users. Who wants to buy better Selfie Camera Phone instead of Oppo or Vivo Smartphones . This phone gives us some of these features. Redmi Y2 phone will find us with 2 variant 3GB + 32GB / 4GB + 64GB RAM and Storage. In this we will get to see the Qualcomm Snapdragon 625 processor . Phone has a display of 5.99-inch with 18: 9 aspect ratio. Features include Night display, Sunlight display, Reading mode. In Redmi Y2, we will get a 16MP front camera and 12 + 5MP Dual camera which is like Redmi Note 5 Pro. In Phone we have given 3080mAh battery and together with all the sensors and features have been given. Which we will see in this image. We get 3GB + 32GB / 4GB + 64GB 2 variant in both phones . But if both are seen in Price, then the difference between the two phones is very different. Does Xiaomi take more money from customers than Brand Value? Or there are such features in Redmi Y2 which is better than Realme 1. For complete information about this we see Comparison of each one of their features. In both phones, we get 5.99-inch screen view. But there is a difference in their quality. If we talk about RealMe's display, then we get 5.99-inch FULL HD Display. While in Redmi Y2 we only get to see the HD display. It clearly shows that Realme 1's display is much better than Redmi Y2 and Realme, we will be able to do video quality experience better. RealMe 1 Vs Redmi Y2 Camera , we get 8MP Front Camera and 13MP front camera in Realme 1. While in Redmi Y2 we get 16MP front camera and 12 + 5MP Dual Camera. In case of camera, there is no doubt that Redmi Y2 is better than Realme 1. But Realme 1 can hit Y2 in the back camera and only if Portrait Mode is removed. So the realme according to the quality of the picture is quite better. In RealMe 1, we get the Snapdragon 625 Processor in MediaTek Helio P60 2Ghz and Redmi Y2. Snapdragon 625 is much better if viewed by brand and customer trust. But if according to performance Helio P60 is probably better than that. I have used both Snapdragon & Mediatek processor. My personal experience with Snapdragon is much better, according to Mediatek, the performance of the Redmi Y2 Processor in RealMe 1 Vs Redmi y2 will be much better. This is also an important feature of RealMe 1 Vs Redmi Y2 Full Comparison in Hindi , and whenever a new smartphone is taken, its battery is checked properly. In redmi y2 we get 3080mAh non-removable battery while in realme 1 we get 3410mAh battery. So, I do not have to say anything to anyone who is better. This is an essential feature of any Smartphone in today's time and many customers do not buy Phone because of not having fingerprint. 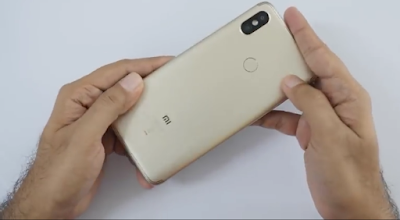 Mi has given the Fingerprint feature in its Smartphone Redmi Y2 keeping this thing in mind while we get to see this feature in Realme 1. In Realme 1 we have been given Face Lock / Unlock Feature instead. RealMe 1 Vs Redmi Y2: Which Phone To Buy? Which is better and which is not? In Redmi y2 we did not get any such feature which attracted me at a price of Rs 9,999. If you want to buy a Dual rear camera with Fingerprint Sensor, you can buy it. and a better performance at a lower cost. So our RealMe 1 can be a better phone. Friends, here we talked about RealMe 1 Vs Redmi Y2 Full Comparison . In which we have compared all the features of both phones Camera, Display, processor, battery and price. According to this whole comparison, Realme 1 is a good phone and it gives us a better look at its price. If you have any suggestions about these two phones, then you must comment.